Motorola Mobility has announced that it’s cutting 800 jobs in a regulatory filing with the US Securities and Exchange Commission saying that the move will cost the company $31 million. The sum is made of $27 million in severance and $4 million in expenses related to closing facilities. The slash in workforce was approved on October 24th, according to the company. “Motorola Mobility continues to focus on improving its financial performance by taking actions to manage the company’s costs,” Motorola spokeswoman Jennifer Weyrauch-Erickson explained the move. She added that slashing the jobs isn’t related to the forthcoming $12.5 billion acquisition by Google. 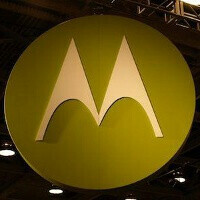 The search giant is buying Motorola to strengthen its patent portfolio after a massive legal attack on Android. But along with patents, Google is getting a hardware company, which it has to somehow manage without breaking the fragile relationships with other Android phone makers. What the f**k is this about "fragile relationships?" Victor, you know better than to perpetuate this "Android manufacturing support is about to implode" bulls**t.
Nail on the head, Snig! I also don't understand, but then it's his opinion. But I believe researched or educated opinions, not guesses, count. Phone blogs are like economists for the mobile world. Now even financial economists do what we call forecasts/predictions. But all that is done using available data. If the data is sketchy, they avoid making drastic predictions. Drastic predictions are assumptions and assumptions shouldn't qualify as opinion. But some bloggers and economists do that, at times- take little data and project far-reaching futures on companies or commodities. They get it wrong and life continues. But I think phone bloggers should also avoid that, for the credibility of their personal work and the blog. I always say we should try and separate fact from opinion- the ability to separate it from assumption is even better. RIM, for one, has had the worst of assumptions and drastic predictions that they have devalued them as a brand. Economists, journalists have constantly attacked them that it drove their stock down tremendously. Granted, RIM has lost market share due to lack of innovation and leadership over the years, but it cannot not be said that economists and journalists have not made a meal of it- they talk about seeing a further slump in share prices; buy-outs by Microsoft, HP, Google and so forth. When such rumors resonate in the tender economic fraternity, a company will lose value. $12.5 billion from google? Why lay off? More to it than appears. Excuse my bad connection... Gosh, hate it when this happens. why would you support a korean company over an american one?